Tokyo, Japan is one of the largest and most densely populated cites in the world. It is a fascinating city, mixing history and tradition with commercial interests and glitz. Tokyo is also a significant destination for business and leisure travelers. 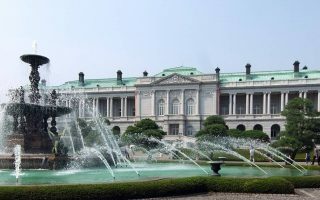 A quick geographic orientation: the Imperial Palace is the heart of the city, and many of the government and administrative offices are in that area (Kasumigaseki). Main commercial areas are Ginza and Shinjuku to the south, and Ikebukuro to the north. The Yamanote Line is the the railway that circles much of the main part of the city. Japan is a mainly mountainous country. The central downtown part of Tokyo is relatively flat, but becomes hillier to the west and the north. 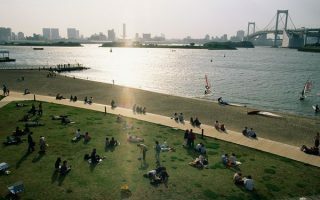 Tokyo is also defined by its rivers and by Tokyo Bay. 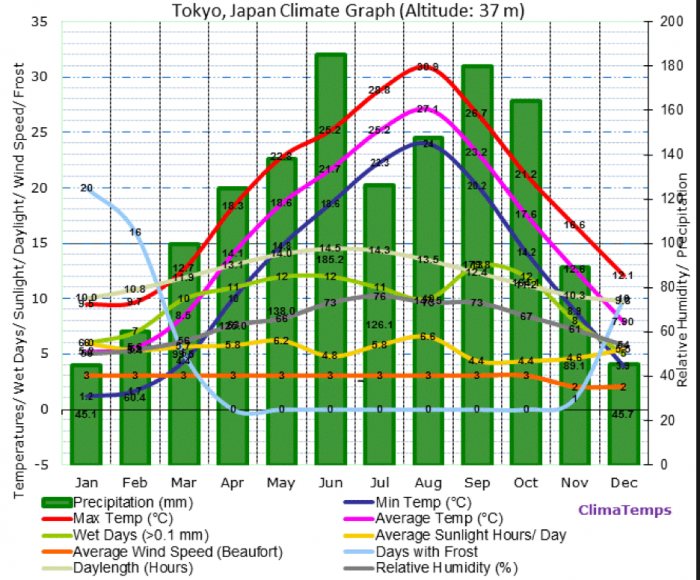 The running situation in Tokyo is better than you might think. It might not be possible to step right outside your door and go for a great run, but with some planning there are some wonderful running possibilities. 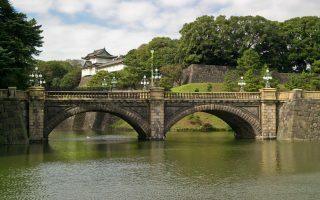 The iconic runs in central Tokyo revolve around the Akasaka Palace, the Imperial Palace, Yoyogi Park, and some bike/running paths such as the Tamagawa River Trail. 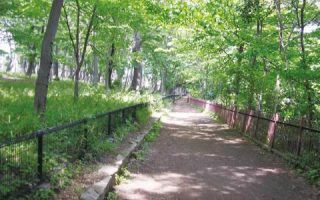 Staying within some proximity of these spots will allow for easy access to a good run. 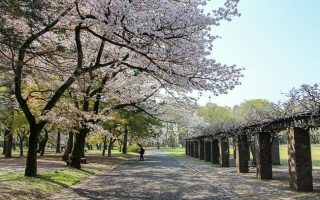 The other thing to consider is that life in Tokyo revolves around its hyper-extensive and efficient public transportation system, which provides relatively easy access to some routes that you might at first blush consider to be further afield. Every route in this guide is reachable by subway. Even better, in some spots there are hotels and other facilities that allow you to change and shower, for free or for a modest fee. Many thanks to Namban Rengo, a wonderful running club in Tokyo, for their help in preparing this guide. The most famous and popular run in central Tokyo. It’s possible to do a relatively uninterrupted 3.1 mile run around the perimeter. Views of some of Tokyo’s major sites. Uninterrupted ~2 mile footpath around the perimeter of what was originally built as the Imperial Palace for the Crown Prince of Japan. Popular with runners. Can be combined w/Imperial Palace run for 6.8 miles. 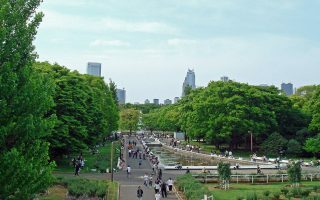 Fifth largest park in Tokyo and centrally located. Lovely paths, gardens, and water features, connected by a pedestrian bridge to a section with stadium, outdoor stage, and other facilities. This is an option combine a couple of iconic Tokyo runs into a longer run, and nearly all of it is pleasant and interesting. About 1 mile east of Yoyogi Park is Meiji Jingu Gaien Park. One of the best ways to go on a long, uninterrupted run in Tokyo. Though not right in the central city, it is easily accessible along most of its length via subway. A good 10k loop is between Numabe and Futakotamagawa stations. There is a tree-lined dirt path that runs along the canal, about 40k. We’ve mapped some of the better sections that are centrally located. Tokyo’s second largest park. A special treat in the spring, with plum and cherry tree blossoms. There are lovely tree-lined paths, fields, sports facilities, and several marked running loops. A 5km dedicated pedestrian trail in the heart of Tokyo. 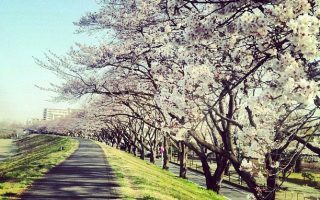 Much of it is lined with cherry trees, so it’s a treat around blossom time. The run passes by (or over or into) 25 bridges, two parks, two temples and three museums. 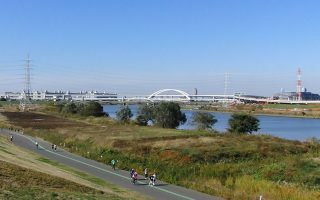 A popular bike and running path in the northern part of downtown Tokyo. A great option for those seeking a longer run, with markers at each km. Good subway access along the whole way. Odaiba is an artificial island in Tokyo Bay. 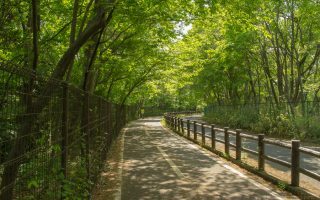 If you have the time, this is one of the best runs in Tokyo. There are great paths for running, with water views and pleasant greenery. Marked 5k and 7k courses. A very challenging hill run, accessible by transport from Tokyo. Mt. 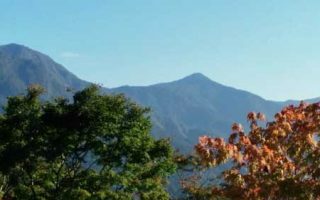 Kumotori is a 2,017 meter mountain located in the Chichibu-Tama-Kai National Park. Great views of Mt. Fuji. The weather is somewhat similar to Washington, D.C.: Hot and humid summers, lovely springs (cherry blossoms!) and falls, and cool winters with relatively rare snow or ice. Please plan your hydration carefully in summer! If you’re in Tokyo for a business trip and don’t have a lot of time, you’ll want to try to stay within proximity of a good running spot. There are lots of hotels in Shinjuku, just north of Yoyogi Park and the National Garden. Also, south of Yoyogi Park there’s a good selection in the Shibuya area. Another good option is the Chiyoda area. 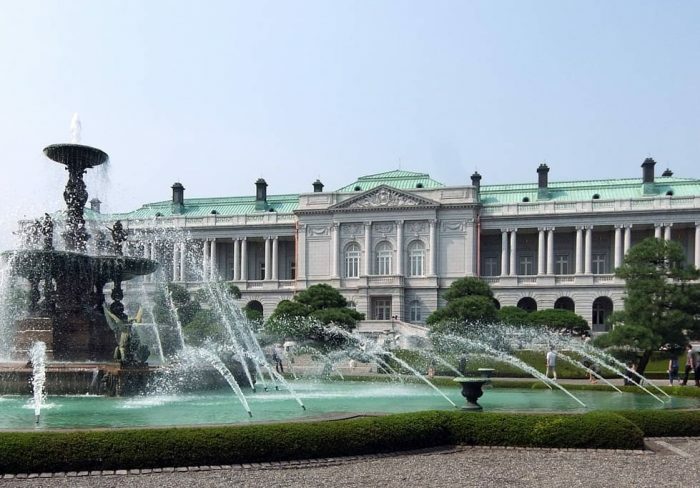 There are a few hotels in between the Akasaka and Imperial palaces, and a larger number just east if the Imperial Palace. New Otani Hotel, Palace Hotel, and Akasaka Tokyu are good hotels with great locations. 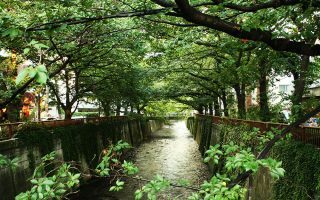 Near the Meguro River trail, there are lots of hotels in the Shibuya area, just to the northeast of Ikejiri-Ohashi station, and in the Shinagawa area, near the Tokyo Metropolitan Teien Art Museum. The Westin Tokyo in this area has running maps and hosts group runs in the morning. There are some good hotels in the Ota area, just east of the the southern section of the Tama River trail. Another option is to stay on or near Odaiba. Great access to running, but a little far from business districts. There are running stores central locations near running. Several stores are in the Shinjuku area just north of the Akasaka Palace. Adidas RunBase is a great location along the 246 between the Akasaka and Imperial Palace. There are Asics, Puma, and Nike stores just outside of Yoyogi Park. On Odaiba, there’s a Puma store. Art Sports is a small specialty running store chain, with several locations in Tokyo: the Taito area just south of the museum cluster; at Shibuya station; in the Ginza near Hibya station; and just north of Inokashira Park, near the Tamagawa Josui trail. Namban Rengo Running Club is an international running club formed in the 1980s. It’s comprised of runners from abroad and also within Japan. It’s a fairly serious running group — most are training for races. They do training runs Wednesdays, 7:30pm followed by dinner. They have a great Websitewith lots of resources for running in Tokyo. 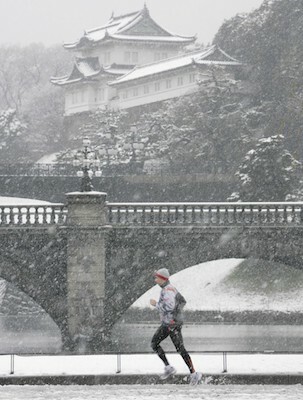 Konageipark running club is a small club that has been active for 20+ years. Tokyo Marathon. Last Sunday in February. One of the world’s major marathons. TELL 5k and 10k. First Saturday in May, during Golden Week. 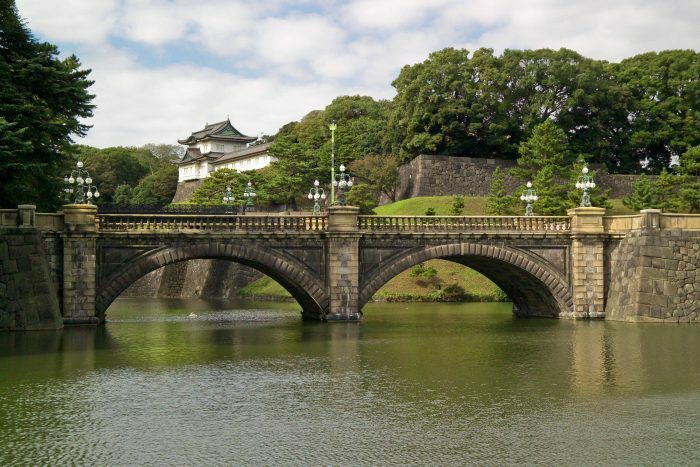 Around the Imperial Palace. Great cause, Tokyo English Life Line. Run for the Cure. November.